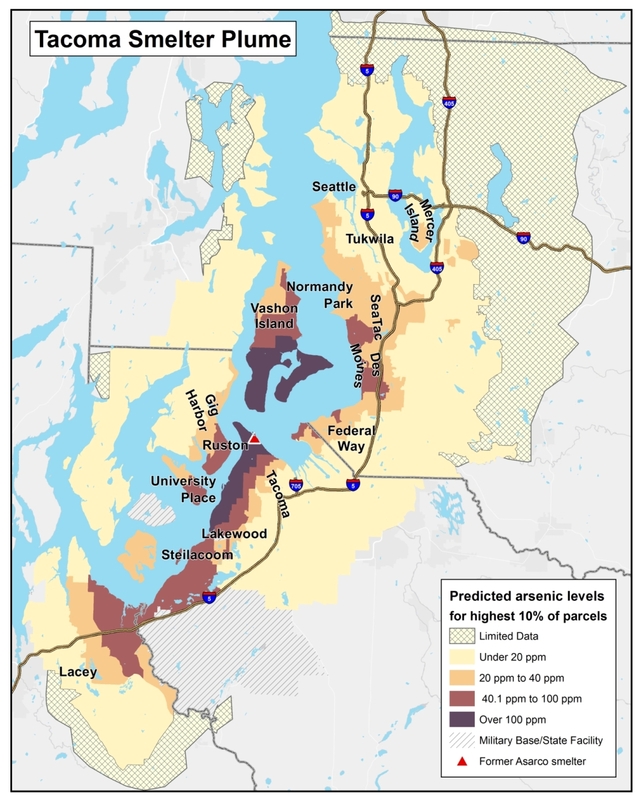 If you live in the affected area, you may have arsenic or lead in your soil. There are several precautions we recommend to ensure you minimize your exposure to these contaminants. Arsenic and lead can pose a risk to people gardening, landscaping or playing in soils. How can I be exposed in my yard? The main way people are exposed is through swallowing contaminated soils. Dust inhaled can also stick to the nose and throat and be swallowed. Arsenic and lead are not absorbed very well through the skin. However, soil stuck to dirty hands can often end up getting swallowed. Most plants don’t take up much arsenic or lead into their edible parts. The greater risk can be from eating dirt or dust stuck to the outside of your produce. Seeds and fruits tend to have lower levels than leaves, stems, or roots. Spinach and other leafy greens take arsenic into their leaves. Roots and tubers can have higher levels in the skin than the flesh. Breathing dust or accidentally eating soil that contains arsenic and lead can contribute to poor health, especially in young children. Lead is linked to developmental disabilities in children and may affect I.Q. Arsenic may cause cancer later in life and may also contribute to heart disease. Children under the age of six are at greatest risk because they put dirty hands and toys into their mouths. They can inhale dust or eat it when it is on food or anything else they put in their mouths. There is no immediate danger, but long-term, daily exposure slightly raises the risk of health problems. For more detailed information, check out the Department of Ecology’s website for Gardening in Arsenic and Lead Contaminated soils here.